Kinema Club, the internet’s only site devoted to the study of Japanese film and moving image media, also manages KineJapan, the only e-mail list of its kind devoted to discussions of Japanese cinema and other image media. KineJapan has been in operation since 1997, and continues to be very active even in these days of social media, enjoying active participation by members from around the globe. Anyone interested in Japanese moving image media, from scholars to film fans, is welcome to join KineJapan and participate in our talks. Anything related to Japanese image media is open to discussion: feature film, television, magic lanterns, anime, documentary, experimental film and video, as well as the social, economic, and historical factors that are deeply intertwined with these media. 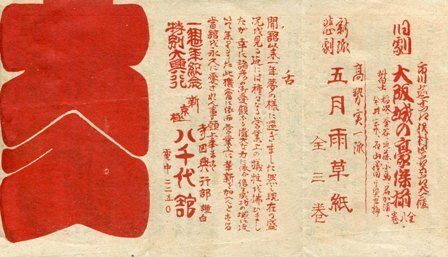 We also encourage the posting of announcements about new films, conferences, publications, film festivals, and other events relating to Japanese image media that might be of interest to our subscribers. KineJapan is a discussion group with members from countries all over the world. While most of the discussion is in English, we welcome postings by subscribers in their native tongues and in particular encourage Japanese subscribers to post in Japanese if that is what feels most comfortable. KineJapan is an unmoderated list, which means we leave it up to subscribers to moderate themselves. In the end, we conceive of all subscribers as fellow scholars working together to achieve a greater understanding of Japanese film and image culture. KineJapan is thus one part of the publishing operations of Kinema Club, with all posts considered contributions open to quotation and citation. The archive is also open to other scholars. We hope KineJapan will be an important means of understanding both new and old Japanese moving image media and their place in Japan, Asia, and the world. Click “Join” on the menu to the left to join the list. For many years, KineJapan was run out of a server at Ohio State University, but as of June 1, 2018, KineJapan moved to a server at Yale University. If you are re-joining after a couple of years, do know the addresses have changed.